Let’s face facts – the summer has passed and December has surprised us yet again. While safety is very important during the swimming months, it’s just as vital during the wintertime. Faulty covers and fences, excessive rain or snowfall, and outside playtime can all lead to accidents that are preventable. So how can you keep your family safe? Here are winter safety tips and tricks. Invest in a safety fence. Fencing off your pool is a great idea when it comes to keeping everyone safe and sound. Fencing prevents children, animals and guests out of the pool area. With a fence up, no one will mistakenly fall onto a snowy pool cover. Know the dangers of floating covers. 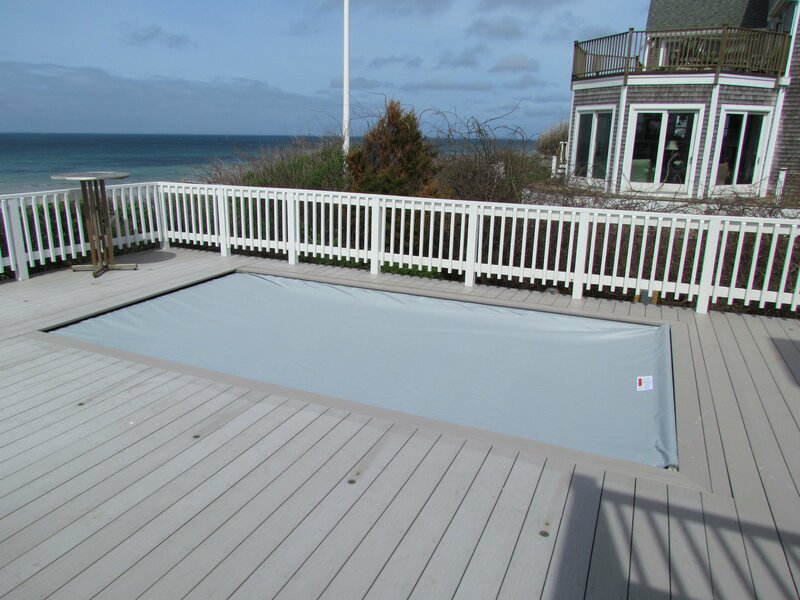 A pool cover is a must for every New Englander who has a pool battling the elements. However, if you select a floating pool cover, there are some safety concerns to consider. Since this style does not allow water to pass through to the pool, it needs to be pumped off on a regular basis after rain buildup or excessive snow melting. Also, remember that if a child or animals falls onto a floating cover, it can envelope them quickly like a blanket. Covers that are secured on all sides of the pool are the safest choice. If there is a particular door that faces your pool or a latched gate leading into the area, a sounding alarm can help alert you when young children or house pets try to enter the area. Having a fence is the first rule of pool safety, but inspecting it on a regular basis is also an important commitment. Over time, fences can break down or rot, depending on what they are constructed with. It’s best practice to give your fence a thorough inspection at least four times a year. Need help ensuring your pool area is safe and winter-ready? Call us at 508-432-3445 or email info@shorelinepoolsinc.com.